The fashion doll Barbie, manufactured by the U.S. toy company Mattel, Inc. was launched on this date in 1959 so we can celebrate today as Barbie’s birthday. Ruth Handler is credited with the creation of the doll using a German doll called Bild Lilli as her inspiration. According to the Mattel company’s history, Handler was watching her daughter Barbara play with paper dolls, and noticed that she often enjoyed giving them adult roles. At the time, most children’s toy dolls were representations of infants. Realizing that there was a gap in the market, Handler suggested the idea of an adult-bodied doll to her husband Elliot, a co-founder of the Mattel toy company but he was unenthusiastic about the idea, as were Mattel’s directors. During a trip to Europe in 1956 with her children Barbara and Kenneth, Ruth Handler came across a German toy doll called Bild Lilli. The adult-figured doll was exactly what Handler had in mind, so she purchased three of them. She gave one to her daughter and took the others back to Mattel. The Lilli doll was based on a popular character appearing in a comic strip drawn by Reinhard Beuthin for the newspaper Bild. Lilli was a blonde bombshell, a working girl who knew what she wanted and was not above using men to get it. The Lilli doll was first sold in Germany in 1955, and although it was initially sold to adults, it became popular with children who enjoyed dressing her up in outfits that were available separately. 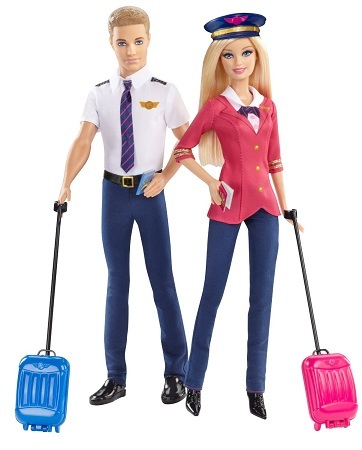 Upon her return to the United States, Handler redesigned the doll (with help from engineer Jack Ryan) and the doll was given a new name, Barbie, after Handler’s daughter Barbara. The doll made its debut at the American International Toy Fair in New York on March 9, 1959. This date has become Barbie’s official birthday according to Mattel, making her 58 this year (2017). 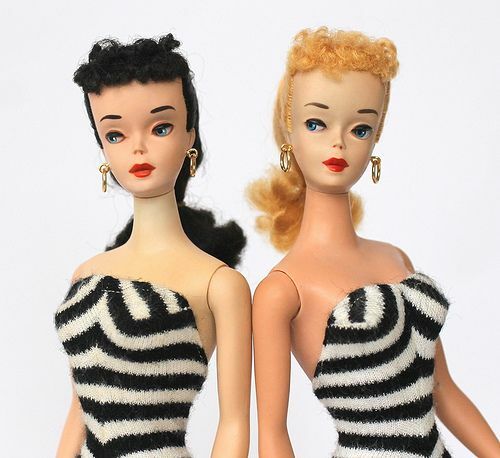 The first Barbie doll wore a black and white zebra striped swimsuit and signature topknot ponytail, and was available as either a blonde or brunette. 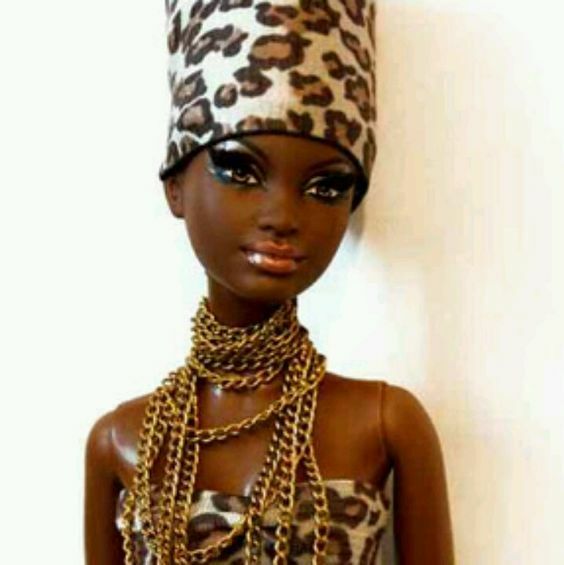 The doll was marketed as a “Teen-age Fashion Model,” with her clothes created by Mattel fashion designer Charlotte Johnson. The first Barbie dolls were manufactured in Japan, with their clothes hand-stitched by Japanese home workers. 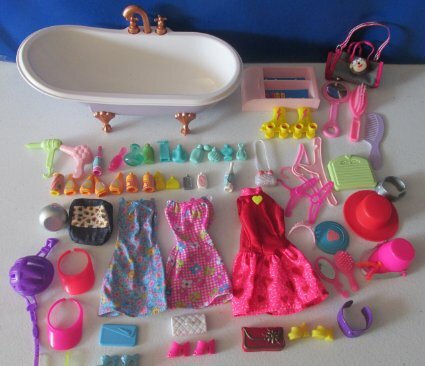 Around 350,000 Barbie dolls were sold during the first year of production. Louis Marx and Company sued Mattel in March 1961. After licensing Lilli, they claimed that Mattel had “infringed on Greiner & Hausser’s patent for Bild-Lilli’s hip joint, and also claimed that Barbie was “a direct take-off and copy” of Bild-Lilli. The company additionally claimed that Mattel “falsely and misleadingly represented itself as having originated the design”. Mattel counter-claimed and the case was settled out of court in 1963. In 1964, Mattel bought Greiner & Hausser’s copyright and patent rights for the Bild-Lilli doll for $21,600. Ruth Handler believed that it was important for Barbie to have an adult appearance, and early market research showed that some parents were unhappy about the doll’s chest, which had distinct breasts. Barbie’s appearance has been changed many times, most notably in 1971 when the doll’s eyes were adjusted to look forwards rather than having the demure sideways glance of the original model. Barbie was one of the first toys to have a marketing strategy based extensively on television advertising, which has been copied widely by other toy companies. It is estimated that over a billion Barbie dolls have been sold worldwide in over 150 countries, with Mattel claiming that three Barbie dolls are sold every second. The standard range of Barbie dolls and related accessories are manufactured to approximately 1/6 scale, which is also known as playscale. 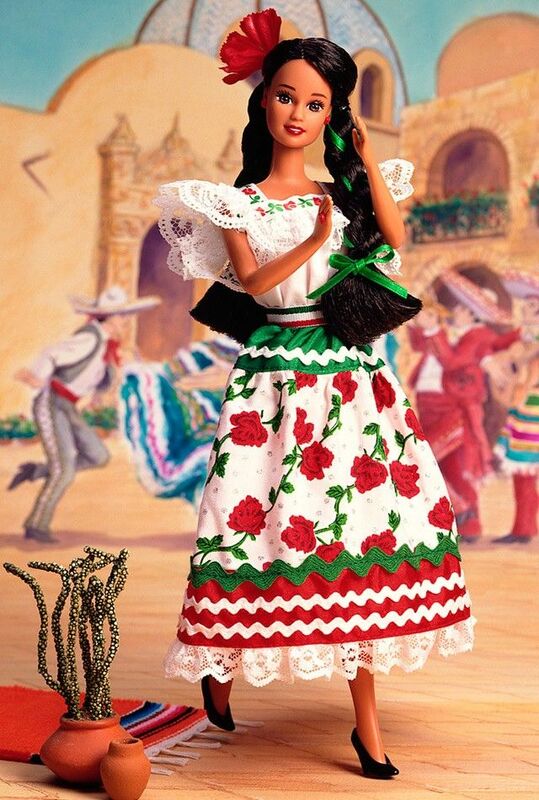 The standard dolls are approximately 11½ inches tall. 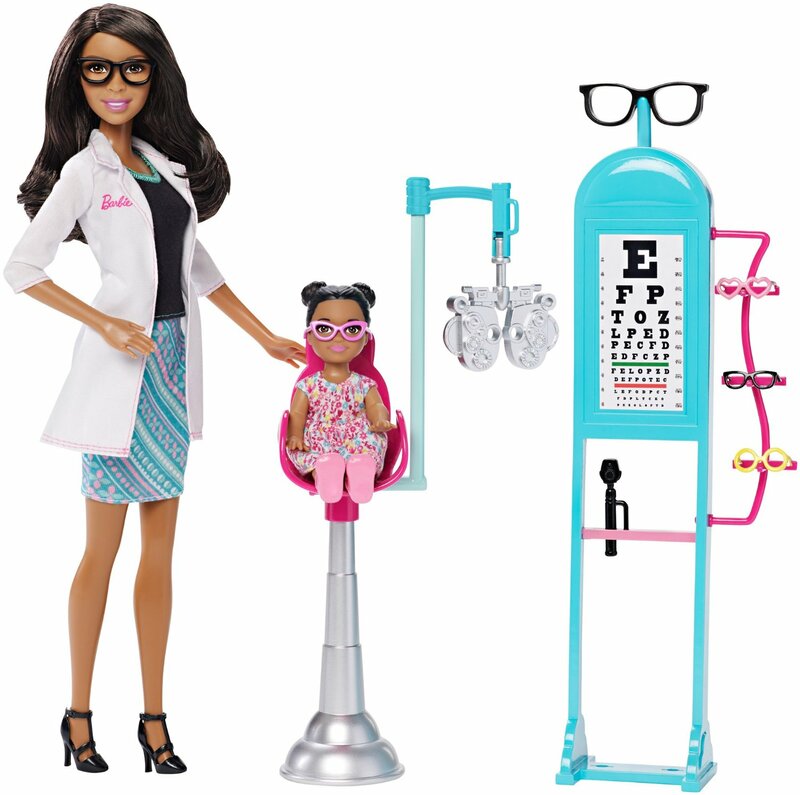 In January 2016, Mattel announced that it will add tall, curvy, and petite body shapes to its line-up of dolls. Alternative skin tones, hair styles, and hair colors will also be added. Barbie is without doubt a pop cultural icon of considerable magnitude. 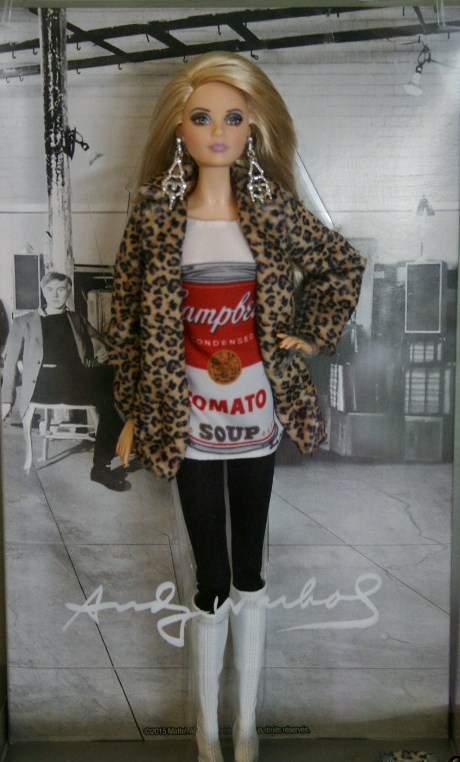 Andy Warhol used Barbie in his art and the Andy Warhol Foundation then teamed up with Mattel to create an Andy Warhol Barbie, setting Barbie alongside the likes of Marilyn Monroe and Che Guevara. 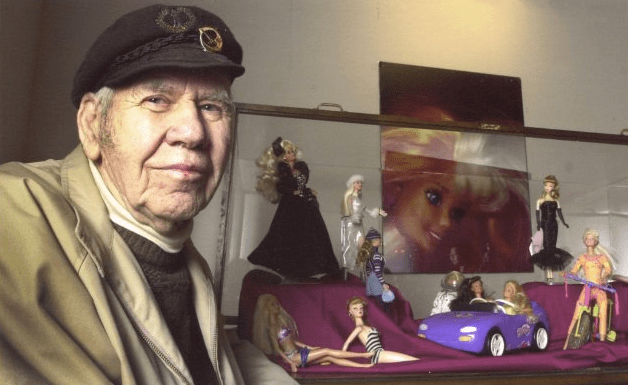 Al Carbee took thousands of photographs of Barbie and created countless collages and dioramas featuring Barbie in various settings. As a pop icon Barbie has come in for her fair share of criticism. 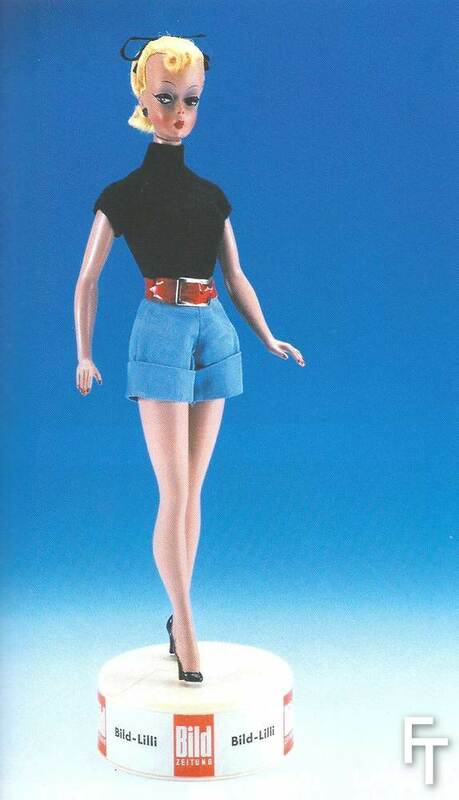 In her early days Barbie was a teenage fashion model. This was a huge shift away from the classic 1950s doll market that featured babies for little girls to look after which at best cried, peed, and closed their eyes, so that girls were limited to mother roles such as feeding, cradling, and putting to bed. 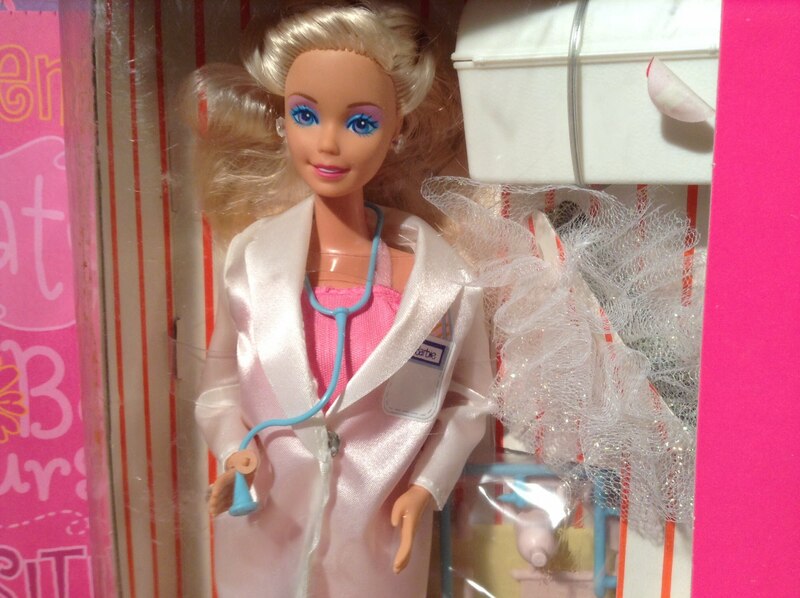 Barbie opened up professional opportunities for little girls. At first these opportunities were limited to affluent, White, middle-class aspirations but she did eventually appear as an astronaut, surgeon, Olympic athlete, downhill skier, aerobics instructor, TV news reporter, vet, rock star, doctor, army officer, air force pilot, summit diplomat, rap musician, presidential candidate (not entirely clearly defined), baseball player, scuba diver, lifeguard, fire-fighter, engineer, dentist, and more. Barbie was also criticized for her body type in the earlier years and that the doll promotes and unrealistic image for a young woman, leading to a risk that girls who attempt to emulate her will become anorexic. A standard Barbie doll is 11.5 inches tall, giving a height of 5 feet 9 inches at 1/6 scale. Barbie’s vital statistics have been estimated at 36 inches (chest), 18 inches (waist) and 33 inches (hips). According to research by the University Central Hospital in Helsinki, Finland, she would lack the 17 to 22 percent body fat required for a woman to menstruate. In 1963, the outfit “Barbie Baby-Sits” came with a book entitled How to Lose Weight which advised: “Don’t eat!” The same book was included in another ensemble called “Slumber Party” in 1965 along with a pink bathroom scale permanently set at 110 lbs., which by medical standards is clinically underweight for a woman 5 feet 9 inches tall. Mattel said that the waist of the Barbie doll was made small because the waistbands of her clothes, along with their seams, snaps, and zippers, added bulk to her figure. In 1997, Barbie’s body mold was redesigned and given a wider waist, with Mattel saying that this would make the doll better suited to contemporary fashion designs. Mattel introduced the Ken doll in 1961 to be Barbie’s boyfriend – also a fashion model whom, in Mattel’s fantasy world, Barbie met on a fashion shoot. Subsequently Mattel introduced a host of friends to include Mexican, African-American, and other ethnic groups under the Barbie umbrella. 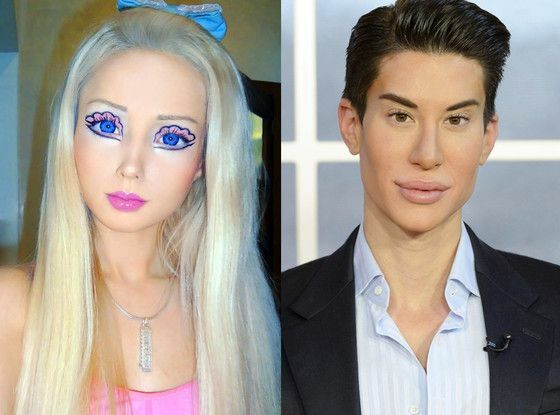 In Japan, where cosplay is a huge cultural phenomenon, boys and girls have major plastic surgery so that their facial features resemble Ken and Barbie, which they supplement with exotic makeup, body shaping, hair color, wigs, and couture. 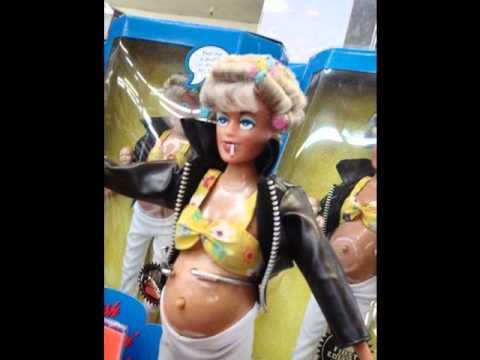 I can’t say I’d get on with Barbie if I met her in New Jersey. I’d certainly not be impressed with her cooking skills. Her kitchen is not bad when it comes to basic utensils and equipment, but terrible with regard to food items. This Japanese video showing Barbie cooking has to stock the kitchen with non-Mattel food items that are mostly out of scale and highly ordinary. Looks like if Barbie is cooking for me we’re having roast turkey, pasta, and salad. Have fun with that.